Axial is pleased to announce FastEddy Bearings as a returning sponsor for AXIALFEST 2018! FastEddy Bearings is one of the longest standing supporters of AXIALFEST, since 2012. Even before AXIALFEST with our AWCC events as far back as 2008! FastEddyBearings.com is the retail outlet for individual hobby bearings and bearing kits, offering the absolute highest quality bearings for an incredibly discounted price. 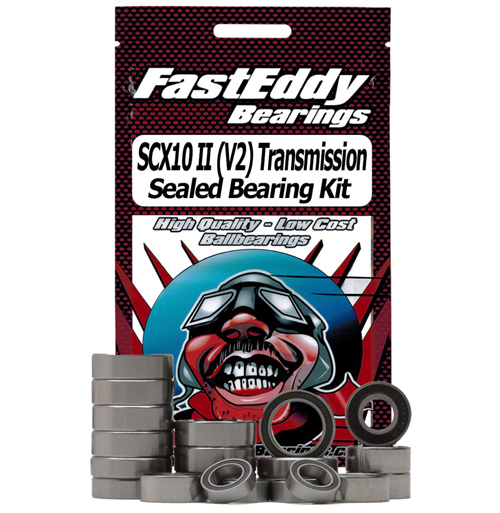 FastEddy Bearings product line includes Rubber Sealed bearings, Metal Shielded, Open, and Flanged. We offer quality metal bearings as well as ceramic. We make the fast faster! Team FastEddy entered the hobby business in 1999 as a major supplier of ball bearings to other hobby companies and manufacturers. Chances are you may be using FastEddy Bearings bearings and not even know it. As the hobby interests grew so did the product lines. In 2006 FastEddy Bearings started using “Team FastEddy” for 5th scale products and are now one of the world’s leading manufacturers of High performance products for the HPI Baja and other 5th scale R/Cs. You can find FastEddy Bearings in hobby stores worldwide.